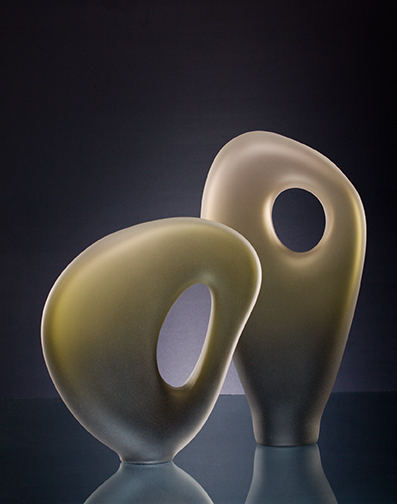 Exploring both the use of positive and negative space within and between the composition of the glass figures. 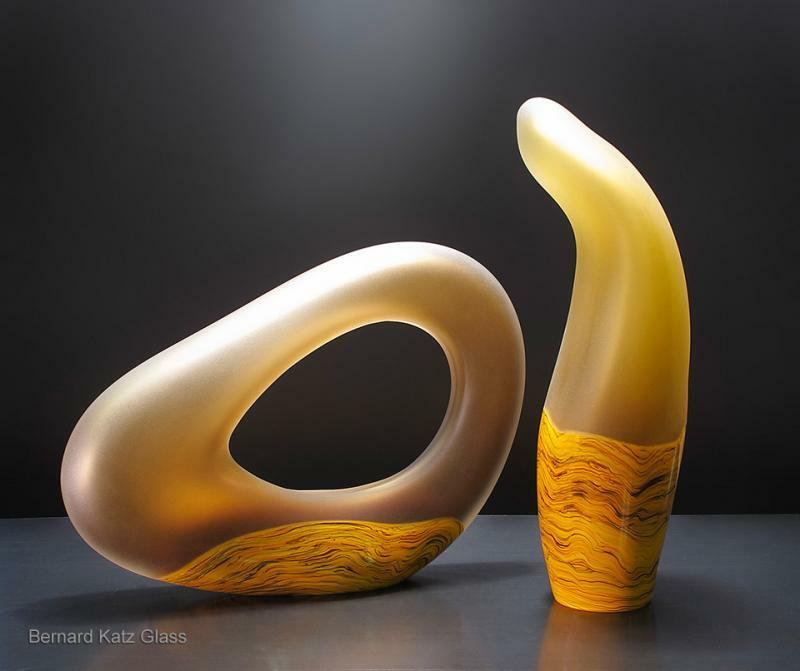 Contemporary art glass composition from our Melange Series. 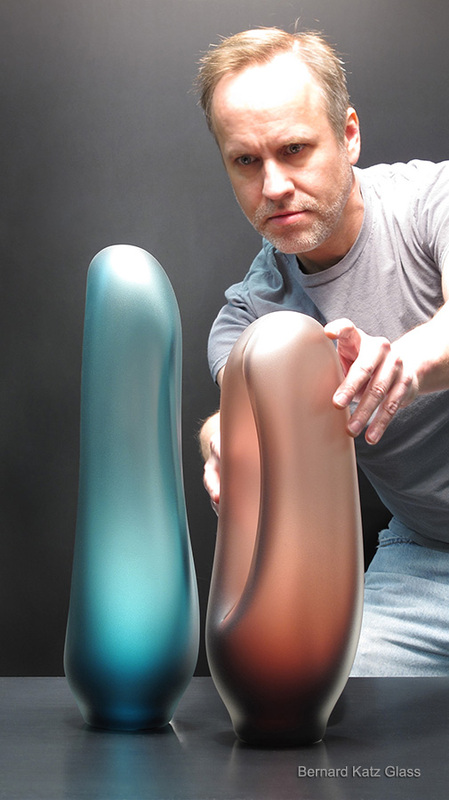 Each hand blown glass form has been cold worked and sandblasted to create a translucent surface in aurora color. 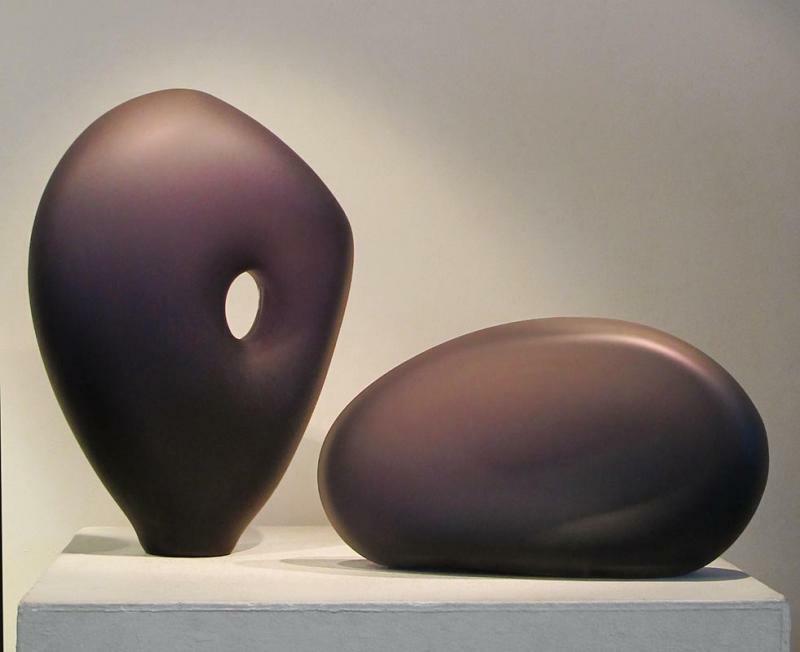 Dark purple indigo sculpture allows the light to define the shape of the form. 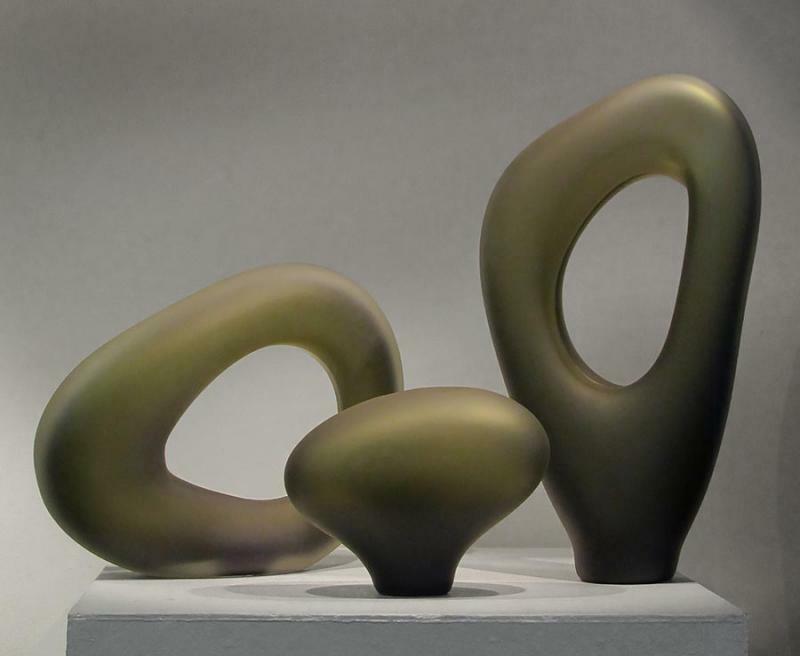 Inspired by the sculptor Henry Moore. 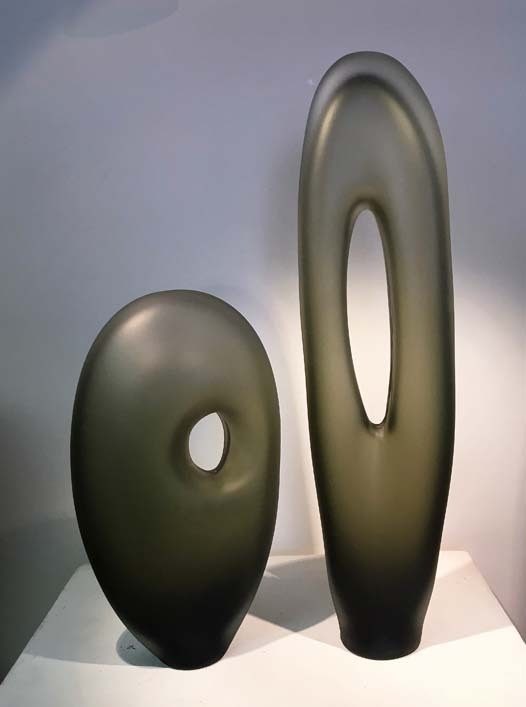 Hand blown art glass sculptural composition has been sandblasted creating the translucent quality within the surface. 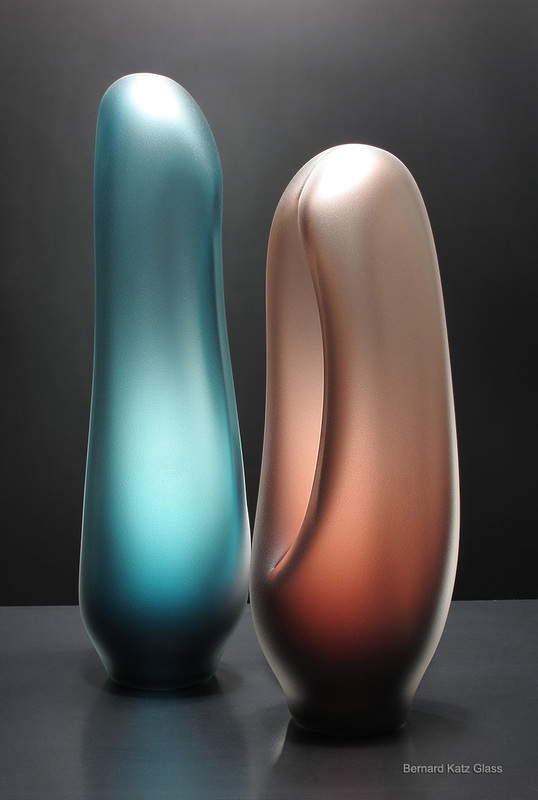 Contemporary hand blown glass sculptures from our Melange Series. 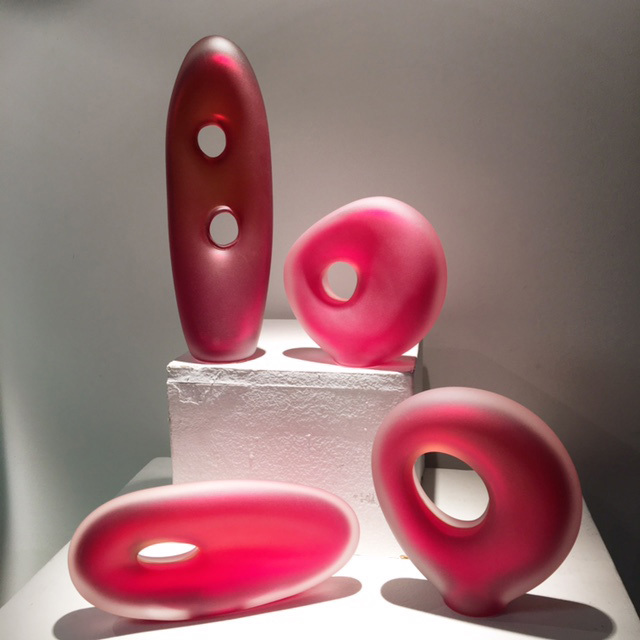 One of a kind blown glass sculptures. 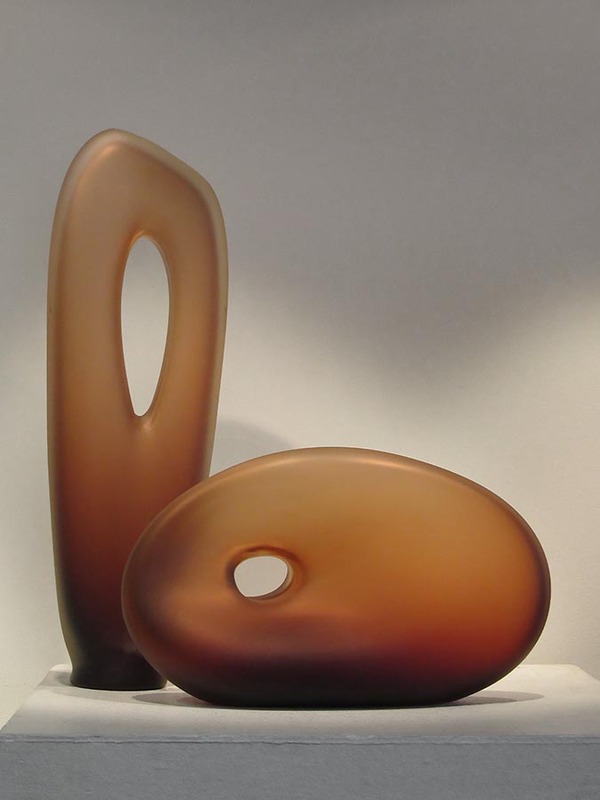 These pieces have a dynamic positive and negative interaction. 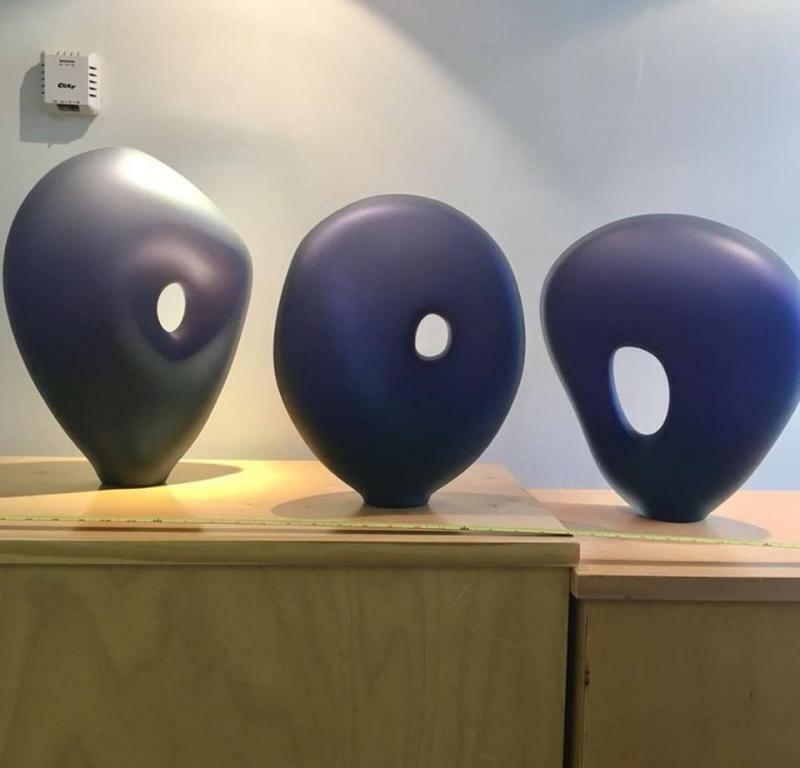 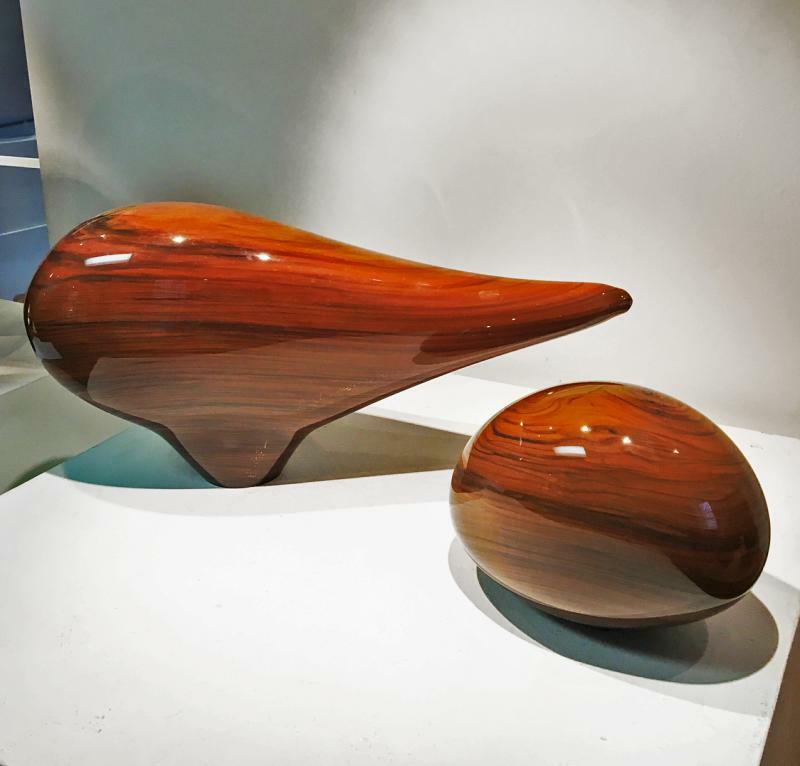 Each sculpture is hand blown and sandblasted, signed by artist. 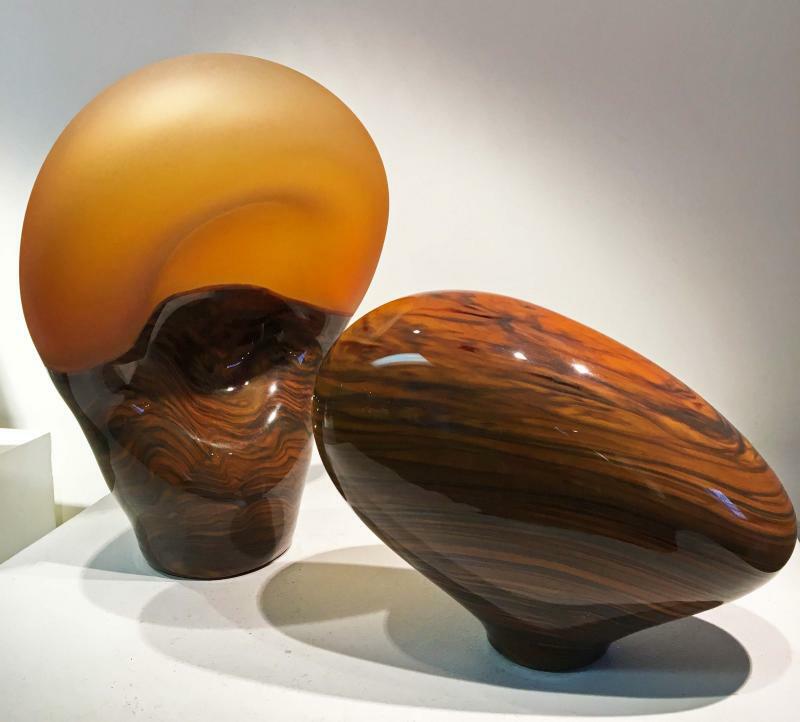 Contemporary art glass sculptures inspired by rock formations. 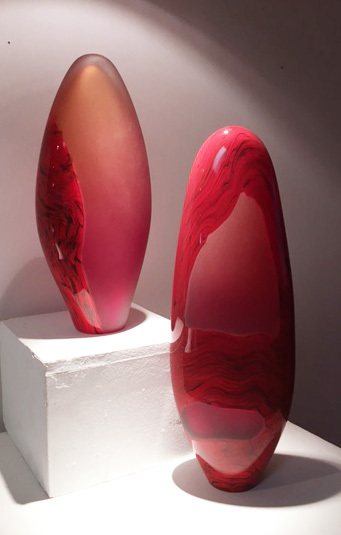 Hand blown glass in opaque cinnamon and red glass colors. 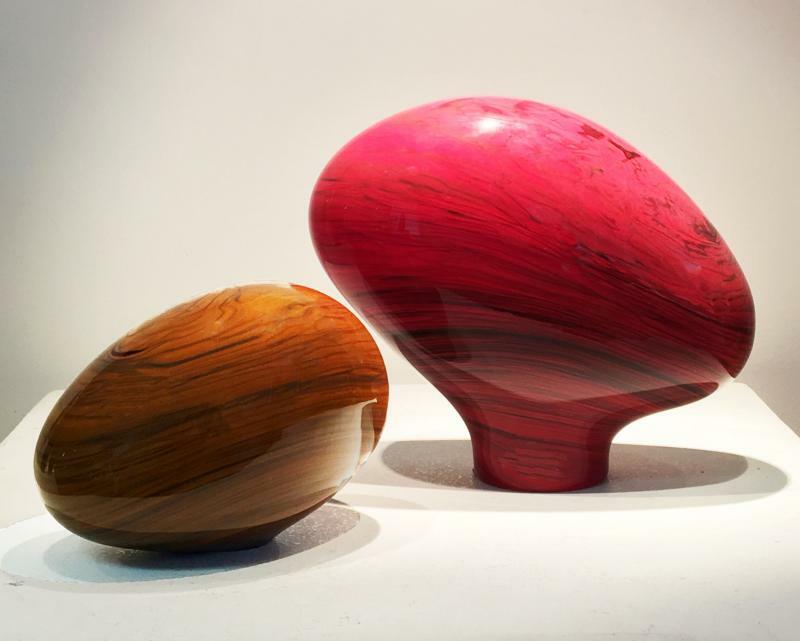 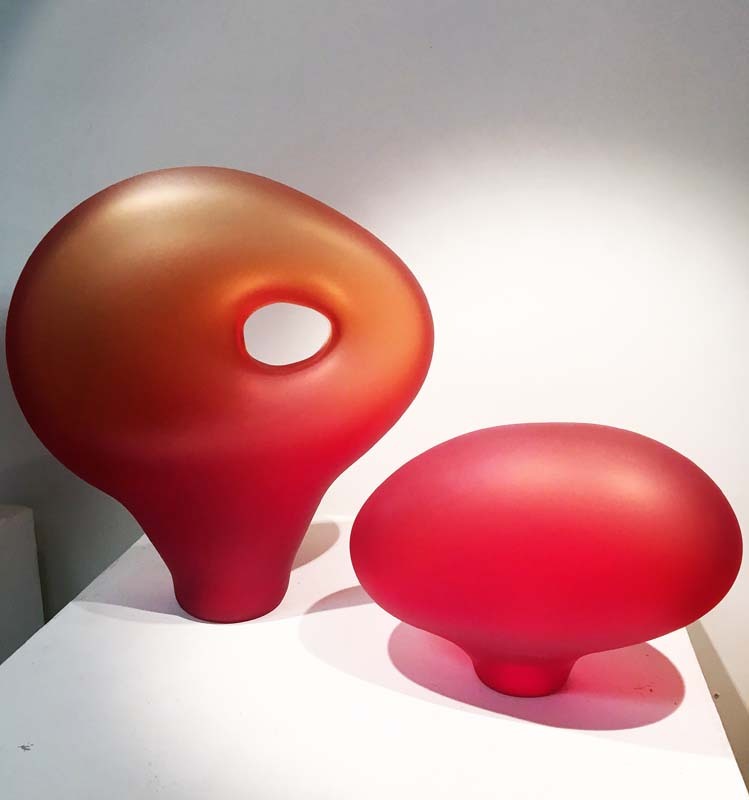 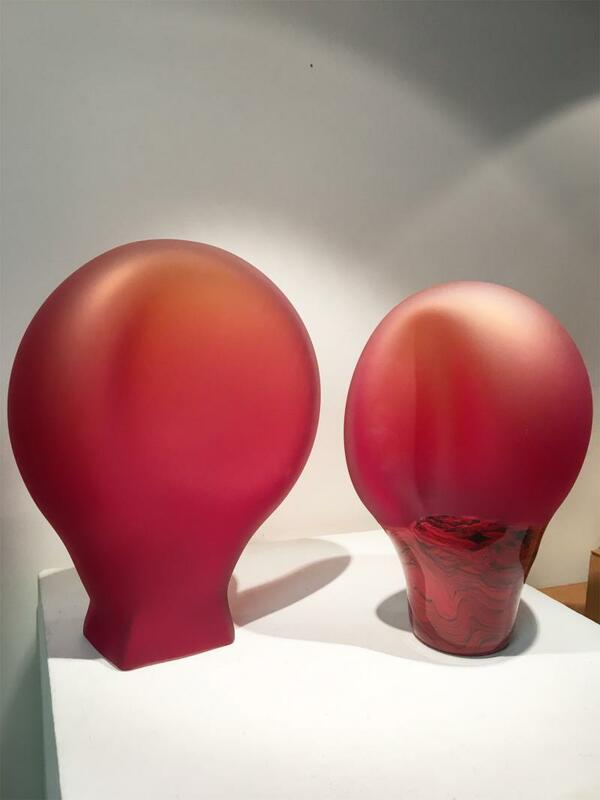 2 Contemporary hand blown glass forms in red opaque and sandblasted, frosted texture. 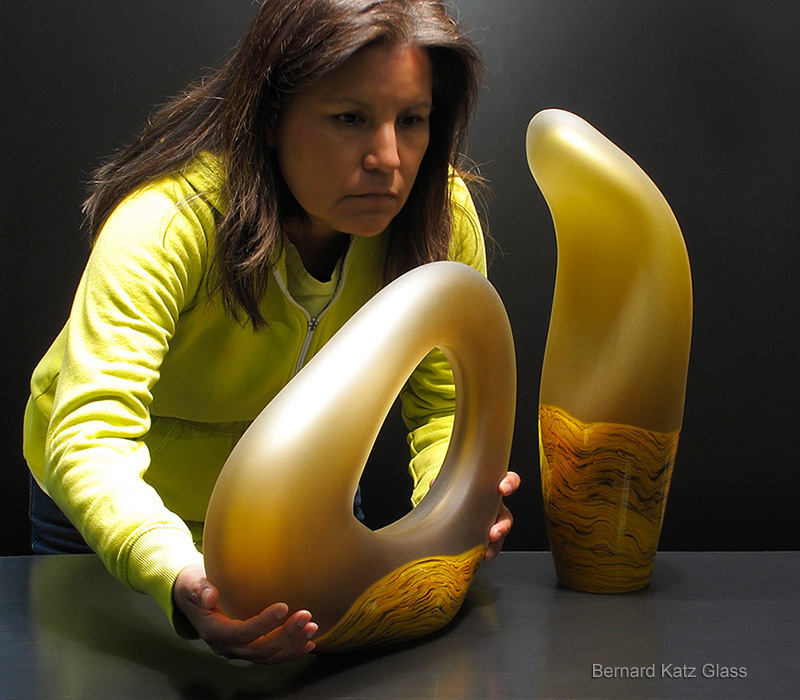 Each one is signed and hand blown by Bernard Katz. 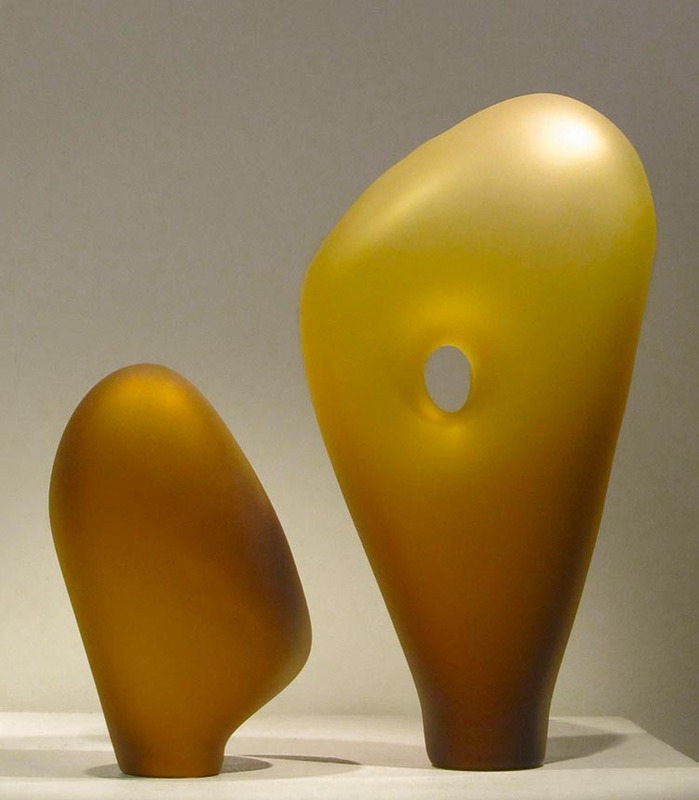 Hand blown glass sculpture showing the communication between two individuals. 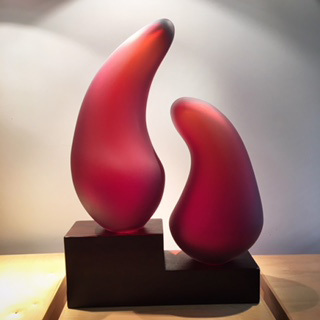 Exquisite piece, tip of left sculpture on top darker color reason for sale, sold as is no returns. 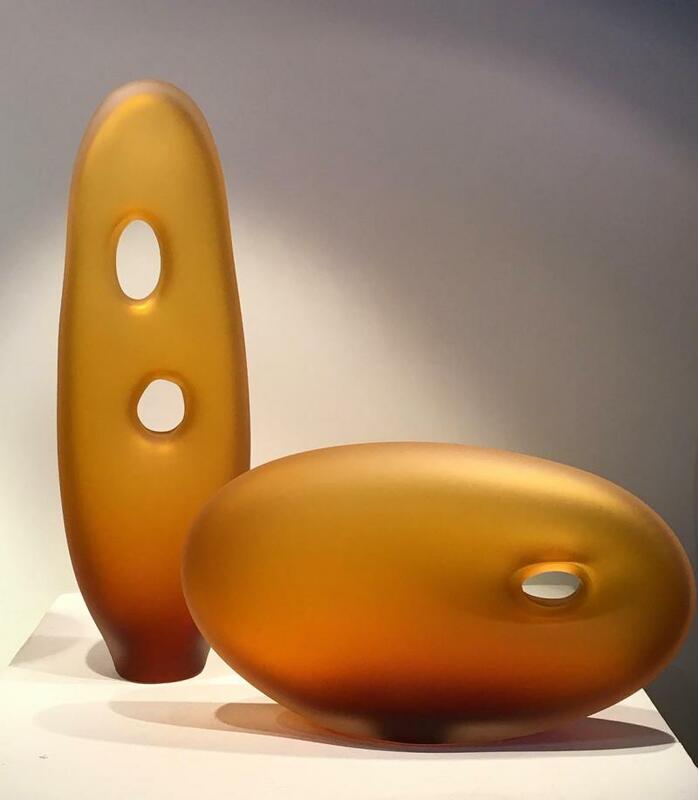 The interplay of the three glass forms in the Melange Series Trio 1 create an elegant communication within in this composition. 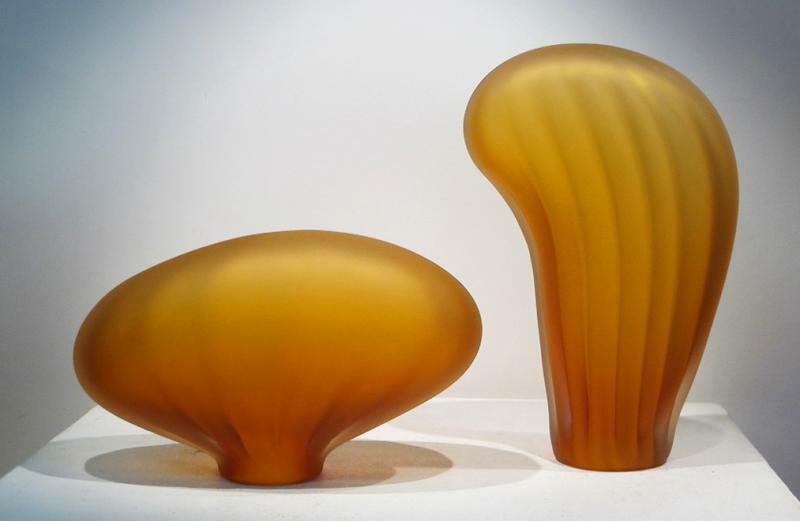 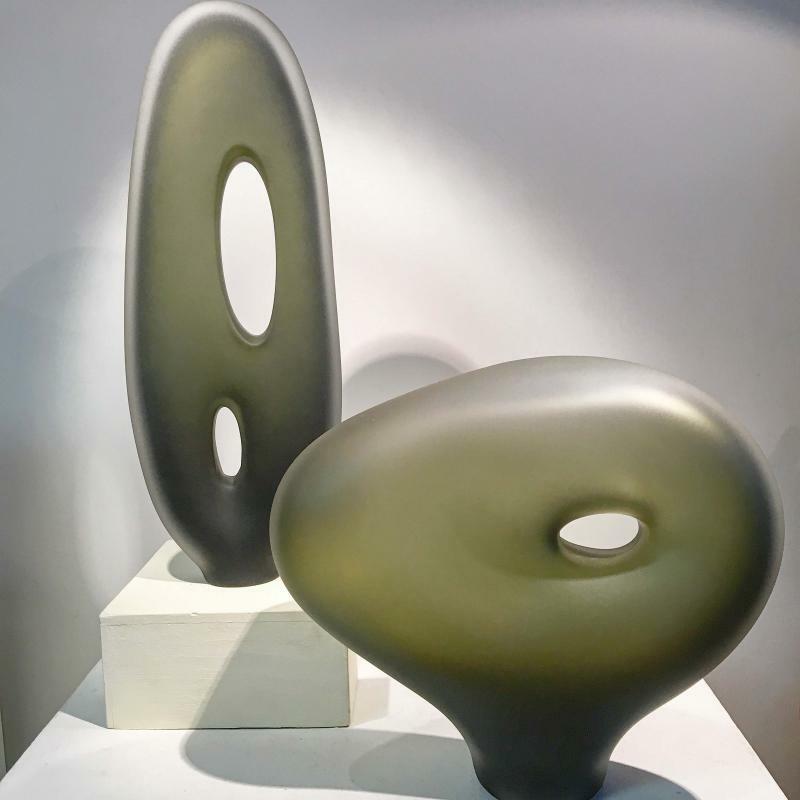 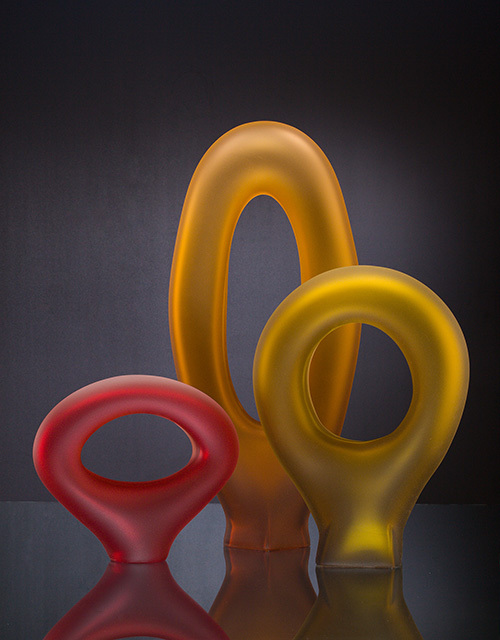 This Melange Series glass sculpture, comprised of two forms, finds inspiration from the sculptor Henry Moore. 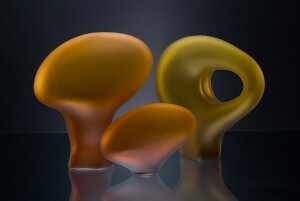 The soft outlines define the communication between the forms. 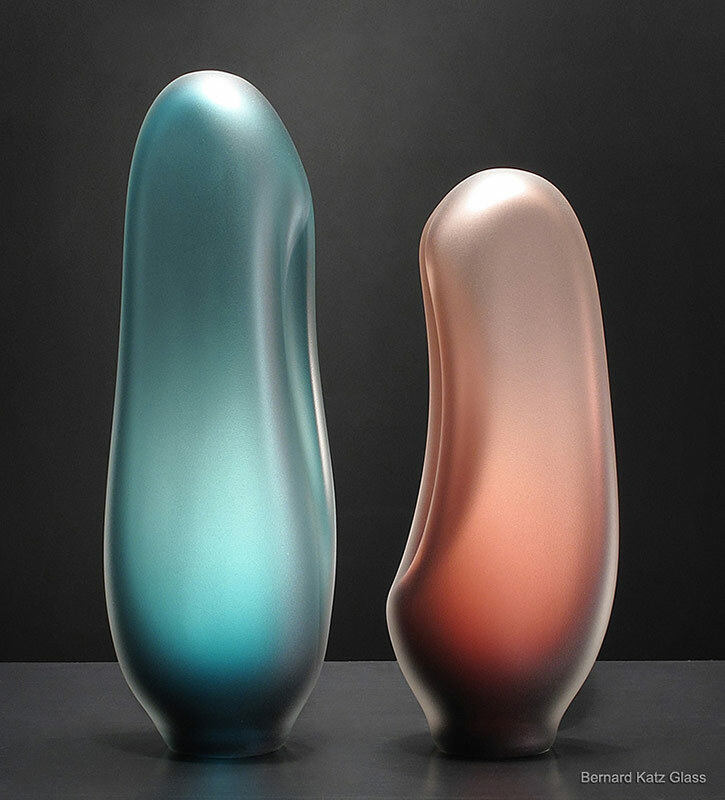 A quiet sophistication emerges from this hand blown glass series.